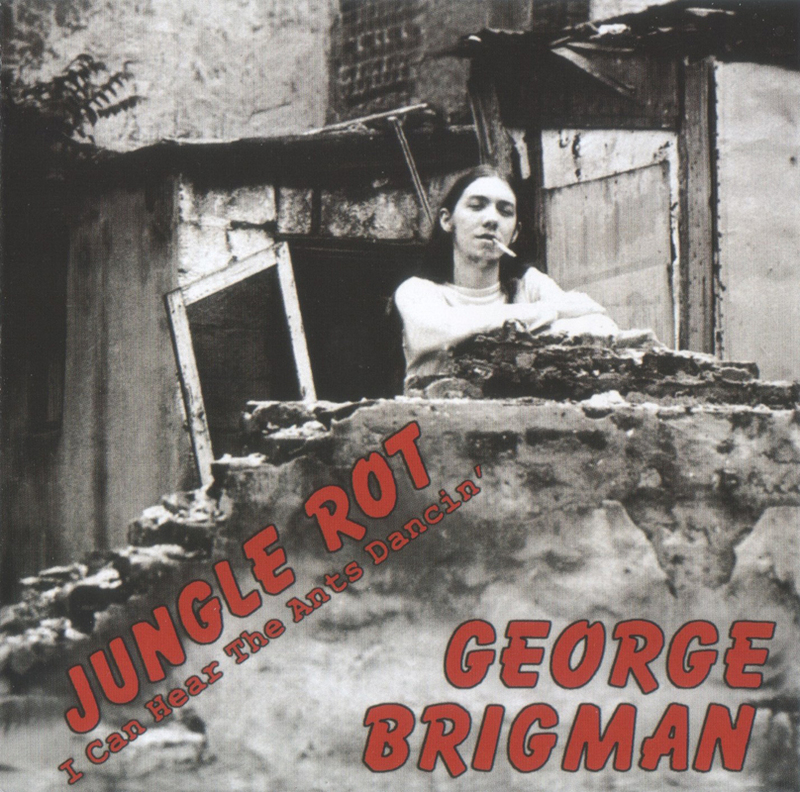 George Brigman sounded like a man out of time on his rare mid-'70s debut, Jungle Rot (though it's not so rare anymore, having been reissued both legitimately and illegitimately on several labels). Unlike the oncoming punks and new wavers, he had an obvious affinity as a keeper of the flame of classic rock forms, most particularly the late-'60s/early-'70s blues-rock of British bands such as the Groundhogs. Yet if this was blues-rock, it was blues-rock the D.I.Y. way, recorded on his own with a mass of hazy distorted guitar lines. It was almost unself-consciously auteurish (and even a bit minimalist) in its presentation, his insistent and repetitive songs fired by belligerent lyrical scuzziness and sullen vocals that were don't-give-a-damn to the point of near-nonchalance. So it's a bit like hearing a punky, pared-down Groundhogs, that band's guitarist and focal point, T.S. McPhee, being one of Brigman's declared heroes. It's the kind of sound that fits the frequent collector description of this kind of music as "mind-melting acid fuzz" (or words to that effect) to a T, though it does get more monotonous over the length of an LP than the top blues-rockers do. Note, though, that despite what you might have read elsewhere, Brigman wasn't purely devoted to thickly fuzzed subdued rants. He also peeled off some nicely silvery and sliding riffs on occasion, sometimes summoning a fetching shy almost-croon for rather gentle reflective rolling bluesy numbers, particularly on the best song, "Schoolgirl." 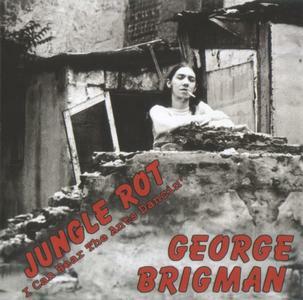 The 2005 CD on Bona Fide adds historical liner notes and three bonus cuts in a marginally less unconventional style that Brigman recorded slightly later with the band Hogwash. 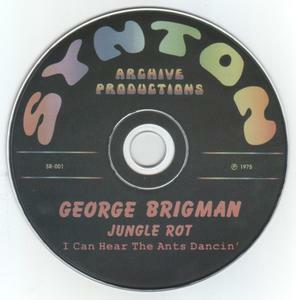 Though George Brigman's mid-'70s LP Jungle Rot remains his most well-known work (albeit very much on a cult level), the material on I Can Hear the Ants Dancin' was recorded not long afterward in 1977, though initially just one single, "Blowin' Smoke"/"Driftin'" (included here), was issued. 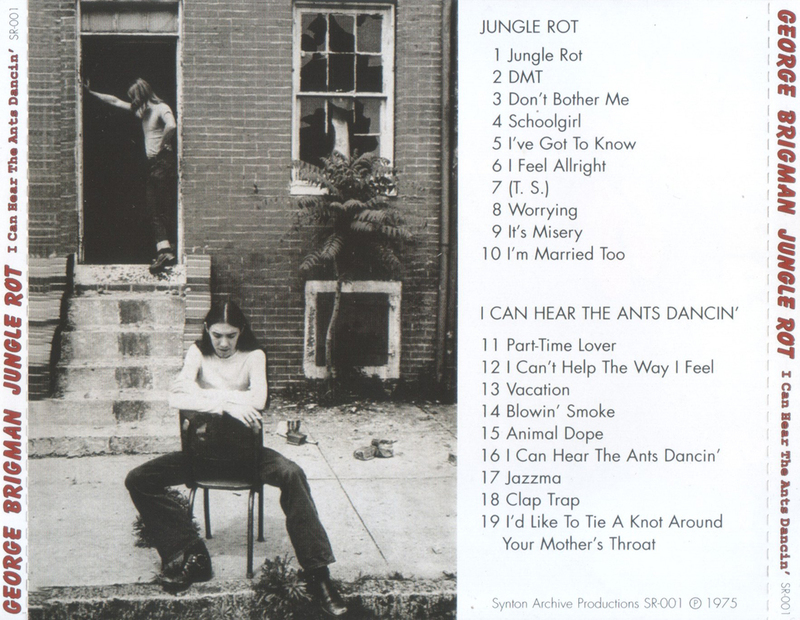 It's pretty similar in tone to Jungle Rot (with somewhat higher fidelity): anachronistic, raw blues-rock, Brigman's feverish, oft-overheated riffing suggesting a more minimalist, vicious counterpart to the British blues-rock guitar gods of the late '60s and early '70s. While the playing on this oft-instrumental material (some vocals included) is often imaginative, Brigman's more of an instrumentalist than he is a songwriter, as much of this is crowded with riffing that could benefit from more structure and variety. On some tracks, like "Animal Dope," the riffs approach compelling territory; others verge on the repetitious. It's not all standard bludgeoning blues-rock, incidentally; "I Can't Help the Way I Feel" and "Driftin'" go into some jazz-influenced spaciness that might not have been too out of place in San Francisco psychedelia, for instance, and "Jazzma" indeed has some jazzy progressions. Note that while the first nine songs on this CD comprised a 1982 cassette release also titled I Can Hear the Ants Dancin', this disc doubles the length with additional material, including five songs that originally appeared on the 1986 LP Human Scrawl Vagabond; another from a 1985 EP; another from the 1983 various-artists compilation Train to Disaster; and two previously unreleased tracks. [AccurateRip ID: 00320150-02bbafba-2e10d613] disk not present in database.